Sachin: Deserving of a Bharat Ratna? The little master is in the news again, though this time around, not for his feats on the field. One of the media networks has launched a campaign, asking the government to confer the ‘Indian Superman’ (as described by Ravi Shastri) with a Bharat Ratna for his remarkable contribution to Indian sport. Stalwarts from the field of sports, politics & entertainment have voiced out in favor of the move. Another record bites the dust! My take on the entire story is that the media is just trying to develop content to fill up their otherwise empty slots, with such non-issues. Everyone agrees that Sachin deserves the award & it’ll happen when it has to; let’s not jinx it by talking about it. Plus, Sachin is not going anywhere in a hurry, why then deviate his mind off the game. There are various other records waiting to be broken, something that Sachin will have his eye on. I’m sure Sachin, being the kind of patriot that he is, would only need our love & support. explains why the decoration was never awarded to Mahatma Gandhi), though this provision was added in the January 1955 statute. 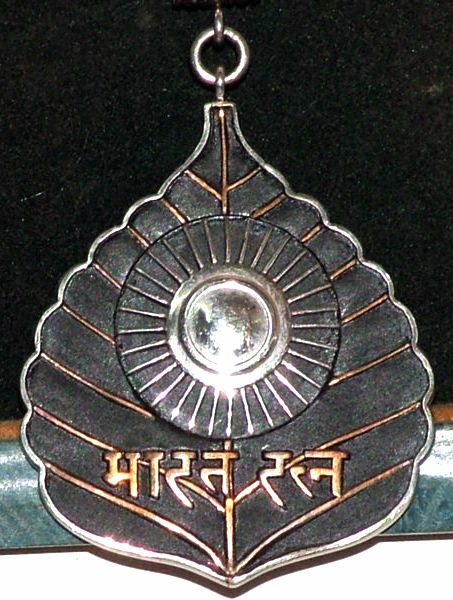 Subsequently, there have been twelve posthumous awards, including the award to Subhash Chandra Bose in 1992, which was later withdrawn due to a legal technicality, the only case of an award being withdrawn. The award was briefly suspended from 13 July 1977 to 26 January 1980. While there was no formal provision that recipients of the Bharat Ratna should be Indian citizens, this seems to have been the general assumption. There has been one award to a naturalized Indian citizen, Mother Teresa (1980), and two to non-Indians, Khan Abdul Ghaffar Khan (1987) and Nelson Mandela (1990). The awarding of this honor though, has often been the subject of litigation questioning the constitutional basis of such. Next Is your knowledge pool draining?